One of the great historic landmarks of downtown Phoenix is the Hotel San Carlos. The hotel was built in 1928 and has hosted a number of celebrities and political figures over the years. 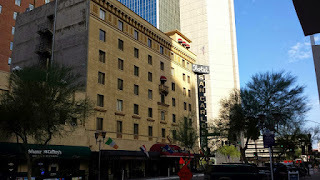 Every time I visit Phoenix, I make a point of passing by this historic hotel. A walk through the hotel lobby takes you back to the early 20th century, and contains a number of photos related to the history of the hotel and Phoenix. The hotel is also rumored to be haunted, and was featured on a television show about haunted hotels that aired on the Travel Channel. 1874 - Our story begins with the construction of the first Phoenix school house on our location at Central Ave. and Monroe. The small one room adobe was built on a location where the local Native Americans were reported to have worshipped the God of Learning. A well was also dug for the school. 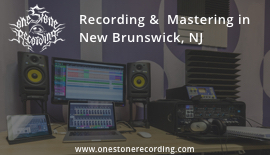 In 1879 a larger two story brick structure was built with four rooms and a bell tower. This was Phoenix' fourth brick building and there were no other structures North of the school on what was then Center Street. The school was expanded in 1893 to sixteen rooms and served the school children of Phoenix for close to a quarter century. 1916 - The schoolhouse had again been outgrown and was condemned. In 1919 the entire block was purchased by the Babbitts (relatives of former Secretary of the Interior and Governor Bruce Babbitt) to make way for a major hotel, but those plans languished. 1927 - The Hotel San Carlos finally became the hotel project the growing city yearned for when Charles Harris, financed by Dwight B. Heard, purchased the hotel site and began construction. The design was done by nationally known architects, G. Witecross Ritchie of Los Angeles, in the Italian renaissance style. 1928 - The formal Grand opening March 20th, 1928 was boldly announced in the Arizona Gazette (now the Arizona Republic). Mr. Dwight Heard, a prominent figure in Phoenix real estate and development, and his partner, Charles Harris, were very proud of their state-of-the-art hotel. 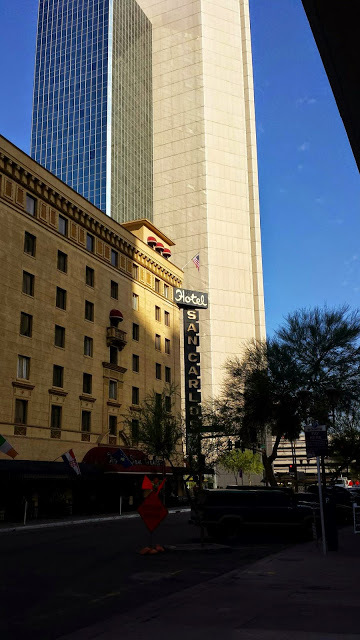 It was the most modern hotel in the entire Southwest United States, the first air conditioned, high-rise hotel in Phoenix, and the first high-rise hotel with elevators (hand operated) in the state. It had Italian tapestries, a card room, dancing, and an outdoor sun room. At a time when the latest automobile, the model "A" Ford, cost only $820, the Hotel San Carlos was build at a cost of nearly $850,000! The original air conditioning compressor, belt driven, was a York model D-8. The unit was brought by train and wagon where it was installed in the basement. The well that was dug for the old schoolhouse was modernized to provide water to pre-cool the air via a pump and evaporator before being drawn across the air conditioning coils - A brilliant design that tamed the Phoenix summer heat. It also generated an extra 25� to $1.00 per night to sleep in the chilled air. Previously, hotel guests would drag their mattresses outside onto sleeping porches at night to get some relief from the heat. The luxuriously appointed hotel with its Italian travertine-tiled lobby also featured steam heat with radiators in each room and re-circulating chilled ice water taps in every room. Many of these taps can be seen in our rooms to this day, although the system was discontinued in the early 1970's. The hand operated elevators remained in operation until the late 1970's. The steam heat radiator system is STILL in operation. Other notable elements are the lobby's original carved plaster crown moldings, Austrian crystal chandeliers and wall sconces, and copper-clad elevator doors and moldings. When visiting the hotel, one should note the original architectural features. The entrances are decorated with vertical-ribbed terracotta tiles. Above the entryway, at the 2nd and 3rd floor levels, are neo-classical column ornamentations, with shaft and capitol. Textured concrete, scored to simulate stone masonry, is used on the first floor level. On the 4th floor level, a projecting balcony with lintels resting on corbel is seen. Lintels also project on both manor facades along the bottom of the 2nd story level. The lintels recur over the tops of the 2nd story windows, and are more richly decorated with scrolls and relief carvings. Above the 7th floor is a penthouse, of original construction. Charles Harris, the original owner and General Manager, resided in the penthouse with his family. 1928-1960 - During this time the hotel continued to be a hub for the Phoenix elite, political and social, as well as a Mecca for Hollywood stars. Mae West stayed here in 1929 while performing at the Orpheum Theatre, 203 W. Adams, in "I'm no angel". It was reported she left orders with the front desk to "not be awaked until 3:00pm with a bottle of champagne and two glasses." 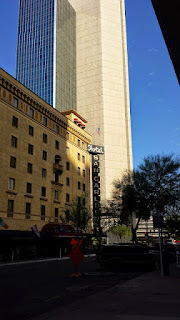 The Phoenix Press Club was founded here. From its inception, the French Cafe, the hotel's first restaurant, was immensely popular. The signature French Onion Soup was the "best in town." Adult libations were regularly embibed in the Palm Room off the lobby which served as the cocktail lounge. Anyone who was anyone routinely relaxed in the air conditioned comfort of the Palm Room. During World War II troops were housed in the hotel and our bar became known as "Base Operations" as more officers were present there than at Luke Air Force Base headquarters. 1974 - The hotel was recognized as a State Historic landmark. In continuous operation since it's opening, The Hotel San Carlos is the only operating historic boutique hotel in Phoenix. 1988 - Governor Rose Mofford proclaimed April 25th as "Hotel San Carlos Day". 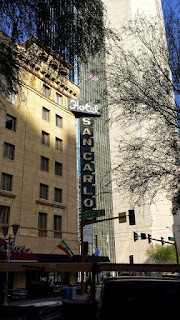 1991 - Governor Fife Symington proclaim April 30th as "Hotel San Carlos Day". 1993 - The "Star Walk" was created to commemorate the hotel's 65th birthday and memorialize the movie stars and celebrities who frequented the hotel over the years.